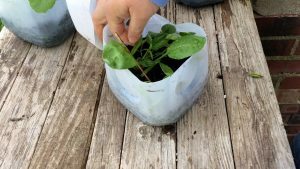 The idea behind winter sowing is to set seeds out in small plastic containers during the winter, when it is still too cold for them to actually sprout. 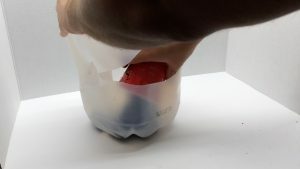 By using the plastic containers, you are creating a micro-climate that is somewhat warmer than the outside temperature, and allowing the seeds to get a jump start on the season as spring rolls around. This process also prevents the need to harden off plants to get them adjusted to being outside. 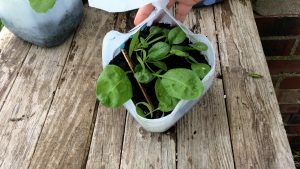 The video shows each step of the process for planting seeds early using winter sowing. 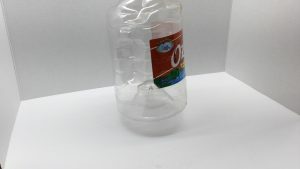 You want something that has clear plastic and is large enough for some soil and for the plant to grow. 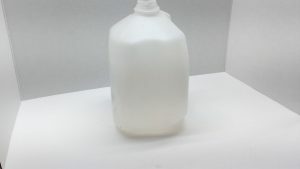 I mostly use milk jugs but large gallon size clear water-bottles or juice bottles also work well. The tops of these containers are going to be open to allow in moisture from rain or snow. 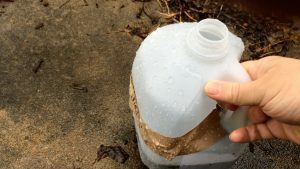 The soil needs to drain well so that the bottle does not flood. You can use a box knife or a nail. 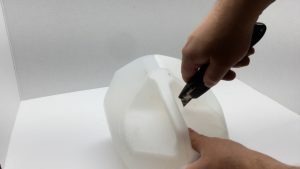 You can also heat a screwdriver over a candle to make tidy holes by melting the plastic. 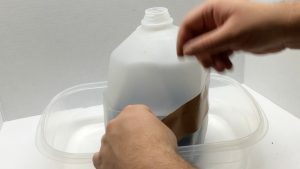 Use a box knife to cut around the outside of the container. 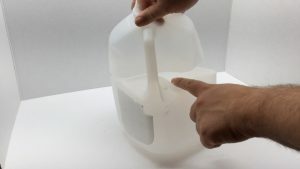 I like to leave the handle on milk jugs intact to help hold everything together. It creates a hinge like look. 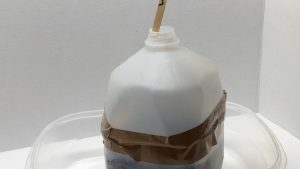 Your objective is to get something that can open up for planting and ultimately removing the plant, but that can easily be sealed with duct tape. 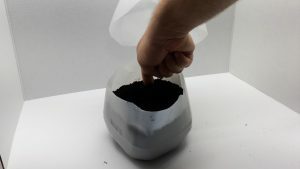 I use compost, but a normal potting soil should work well. How many seeds and the appropriate spacing for you plants will vary based upon what you are growing, but use good judgement. These plants will be growing in here until you are ready to transplant, probably a couple weeks after your last frost. 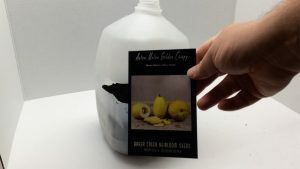 For larger plants like tomatoes or peppers, I am comfortable with as many as 4 seeds spread on each of the 4 corners of the container. 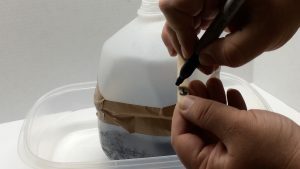 For smaller seeds such as greens, you can sow even thicker. If you are putting these out close to when you want them to start germinating, you will want to make sure the soil is well moistened. 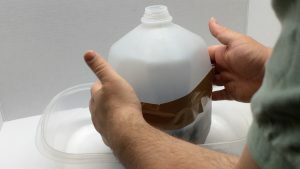 As you are getting close to the last hard frost and in the days that follow, you will want to make sure that your containers are getting moisture. Early spring often is a pretty moist period, so you may not have to supplementally water, but keep an eye on your precipitation during that period. You want to try to seal the opening you created as best you can. 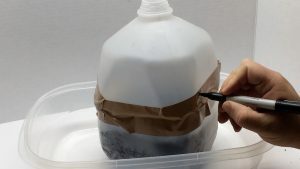 I sometimes find it easier to remove the tape from the roll before trying to rap it around the milk jug. 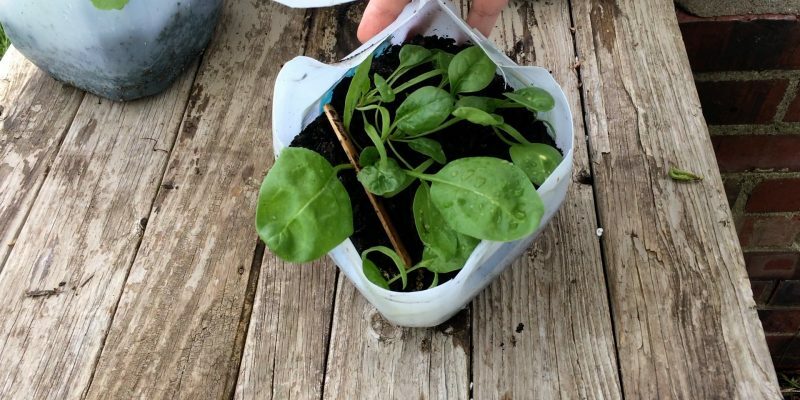 Use a permanent marker to write the type of plant you are growing on the duct tape. 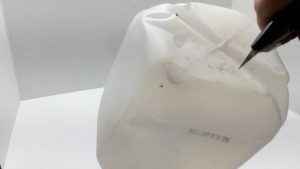 It is also recommended to label inside of the container so if something happens to the duct tape, or after you have removed it, you will still know what is growing. Popsicle steps work well. Again use a permanent marker to label the possible stick. 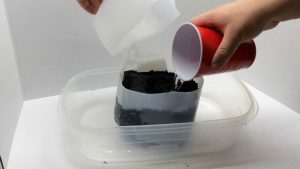 While this technique can be used any time of the year when you want to create a microclimate a bit warmer and more humid than the surrounding air, when winter-sowing you should generally put plants out before your last hard frost — a period of more than 4 hours where the temperature is less than 25 degrees. Some people will let their winter sowing stay outside through most of the winter, but in climates where you have some particularly warm spells which are followed by hard frosts, the warming may trigger germination and then kill your plants. After risk of frost has passed in your area, look to see how your plants are doing. After they appear large enough to transplant, remove the duct tape. You now have a strong well-grown plant ready to go into the ground.